Anchor Steam's® roots go back to the Gold Rush, long before icehouses and modern refrigeration made traditional lagers a viable California option. In 1876, thanks to an ice pond in the mountains and a belief that anything is possible in the Golden State, a little brewery named Boca created California's first genuine lager. 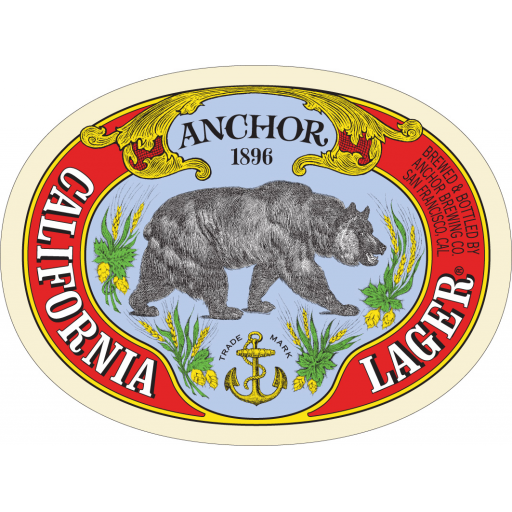 Anchor California Lager® is our re-creation of this historic beer. Made in San Francisco with two-row California barley, Cluster hops (the premier hop in 19th-century California), and our own lager yeast, this all-malt brew is kräusened and lagered in our cellars. Its golden color, distinctive aroma, creamy head, balanced depth of flavor, and smooth finish make Anchor California Lager® a delicious celebration of California’s unique brewing heritage.